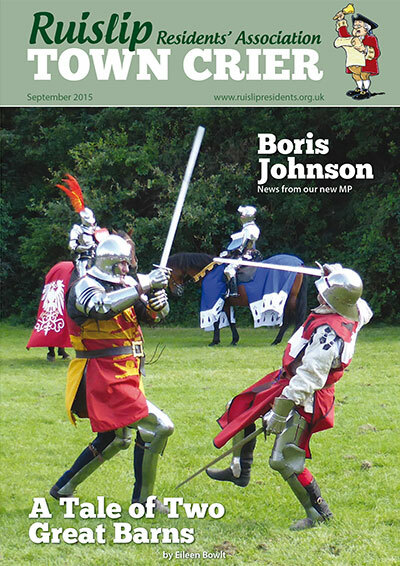 We produce a local full-colour magazine, the Town Crier, to keep people in Ruislip up-to-date with what is going on in the area. It covers a wide range of subjects, from what is happening in our local schools to planning issues, from police matters to local history. Ideally, every household in our area should receive a copy of the Town Crier twice a year. If you don’t receive a copy it may be that we don’t have a Road Steward to cover your area. This is especially true if you live in a block of flats, as we often having trouble getting in to them to deliver the magazine. We are always looking for people to volunteer as Road Stewards, so if you don’t receive the Town Crier and would like to, why not volunteer to deliver it to you and your neighbours?